Glass working comes in many forms, such as kiln casting and flameworking, and enables you to create distinct glass pieces including sculptures and ornaments. If you have an interest in glass art and want to develop your skill, consider adding a glass working station to your home. This way, you have the opportunity to practice whenever you want. Perform a few key steps that help you understand what you need to work glass at home. 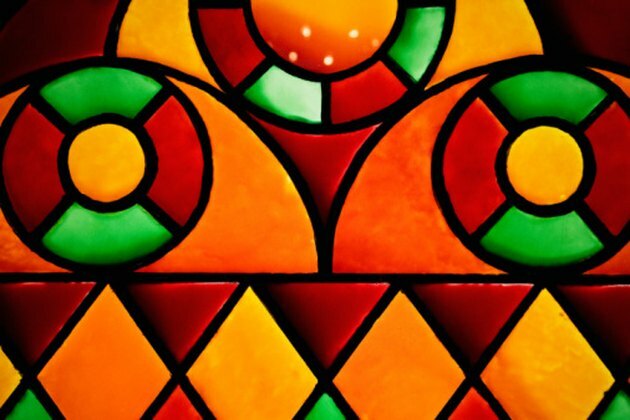 Create stained glass pieces in your own home studio. Decide on the kind of glass work that you want to do. Common methods of working glass in a home studio include lampworking (flameworking), which is the process of melting solid glass in the flame of a torch; stained glass, which involves soldering sheets of colored glass together; and fusing, which uses a high-heat oven (kiln) to melt pieces of solid glass into the design you create. Consider the safety features that you need to have in place before you start. For example, both lampworking and fusing require a ventilation system that pulls harmful fumes away from your workstation. Additionally, all methods of glass work require safety glasses to protect your eyes from glass debris or sodium rays when the glass is heated. Lastly, your workstation and the floor below it need to be fireproof (if working with hot glass) and it needs to be in a separate room or designated space because sharp pieces of glass end up on work surfaces and floors. Make a list of the materials that you need to begin your desired craft. All glass processes use a special type of glass: Stained glass, for example, uses sheet glass such as opalescent or cathedral. Further, each specific method requires its own special equipment and tools. Lampworking, for instance, requires a fireproof work surface, a torch setup that includes hoses, pressurized oxygen and propane, as well as a kiln and assorted tools that help you shape the glass. Check with your homeowner's insurance to see if your policy has any rules about your home studio. For instance, glass processes that use high temperatures or fire, such as lampworking and fusing, are sometimes required to be set up in a garage or other area that is not part of the main home. If you rent, check with your landlord to make sure your setup does not break any rules of your rental agreement.